Rojé Exotic Leather offers the finest, most decorative Zebra leathers for its most fashion-conscious clients. Genuine Zebra hides are absolutely stunning with a pattern of style and beauty that is unmatched in nature. Zebra skin can be used in many applications, but especially makes a statement for furniture, upholstery, shoes, handbags, designer area rugs and certain upholstery applications. Beautiful felt backed zebra skin will be a gorgeous addition to any interior. 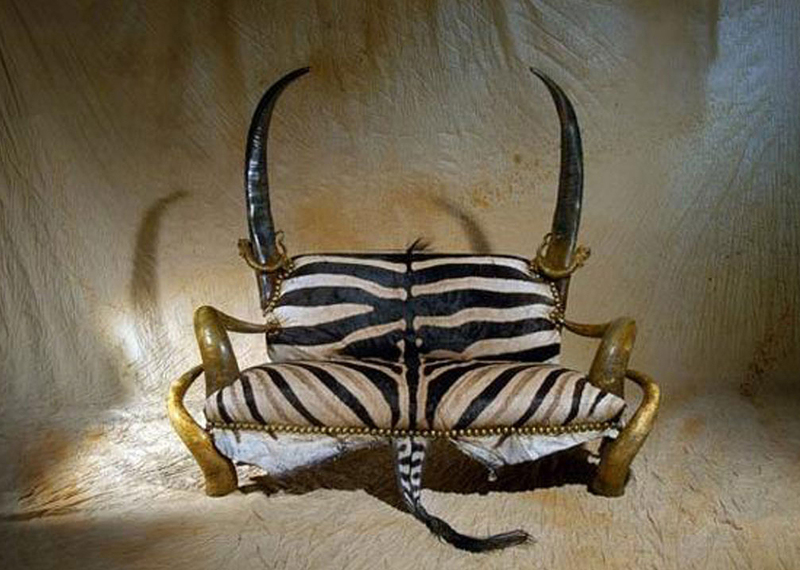 Ideally suited for contemporary interior furnishings, zebra skins add an exotic element to any décor. Order your zebra skins from us and never pay retail prices again. Volume discounts also available! The species of Zebra we offer is always Burchelli. The colors will vary – some are sharp, highly contrasted black/white while others have more of a cream/brown with shadow stripes. Our skins are tanned at the most reputable tannery in South Africa. Their work is well-known and is of the international standard for tanning Zebra hides. These Zebra Skins are very soft. They are popular for high-end furniture, and we have used them in furniture many times before. (Oil is used to soften the skins). 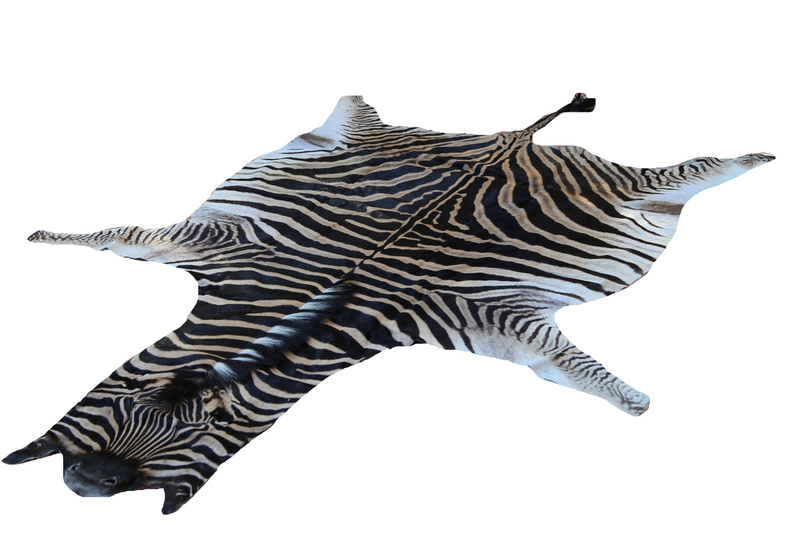 At Rojé, we import and wholesale genuine Burchelli Zebra skin hides, zebra skin rugs, as well as manufacture custom furniture and accessories to your specifications. 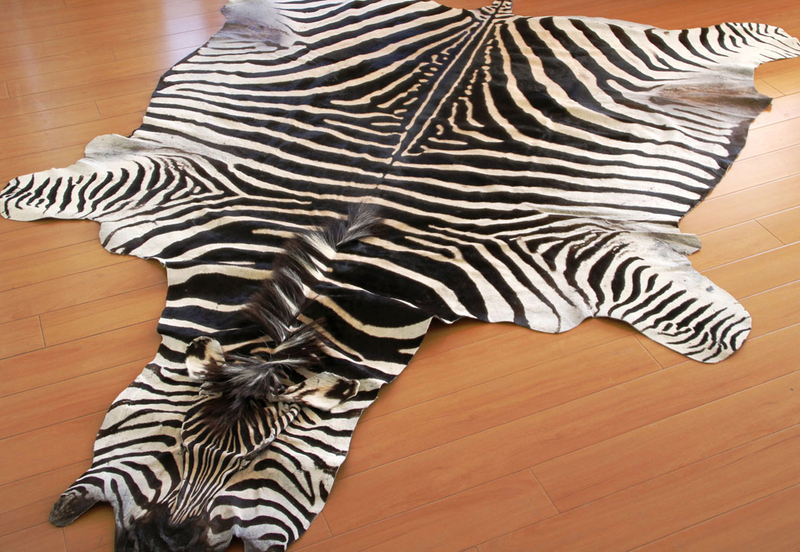 We assure the highest quality Zebra hides at the best wholesale pricing available. Our Genuine Zebra Skins (Equus Burchelli) and our rugs have thick manes and sharp colors with US Fish and Wildlife clearance. Our rotating stock is limited as the most pristine Zebra hides are rare and currently in high demand. These are 100% legal and came from government culls given to several Professional Hunting Game Reserve. Hunters paid thousands of dollars for the privilege to hunt these zebras. Save yourself a trip to Africa and purchase our wholesale Burchell’s Zebra Skin Rugs today. For those of you who get turned off by looking at the head of the zebra we have a few without heads. Why pay more and take a risk importing these yourself? Our fresh skins have been properly tanned with lots of extra oil to lay completely flat for the life of yours or your clients’ rug. Unlike re-tanned Tanzanian skins which will only lay flat for a few months. 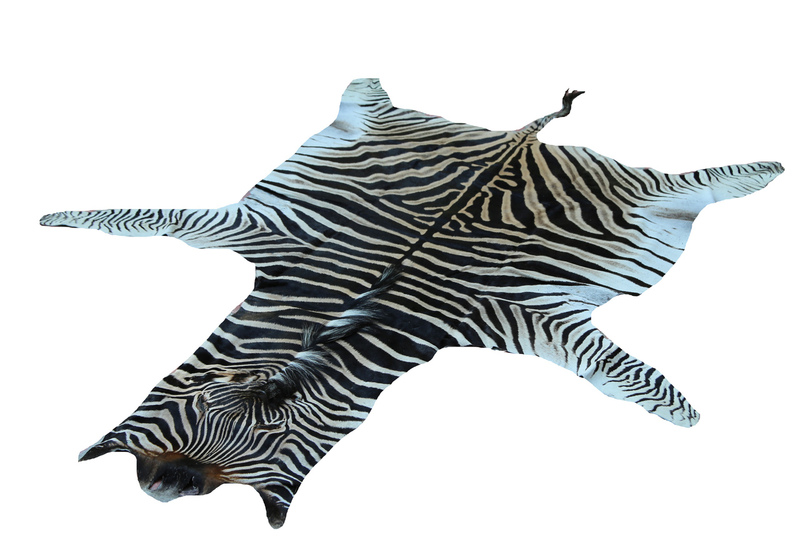 Our genuine zebra skin rugs have detailed felt borders around the whole skin. The felt also preserves the life of your rug in addition to the aesthetics with their bordering. Our skins are what others marketers will refer to as South Africa Trophy grades, which we refer to simply as A grade, very clean skins. These are genuine African (Equus Burchelli) zebra skins which were not tanned in Tanzania or imported from Tanzania and then re-tanned in the US to temporarily soften them up. We also do not import Grade B or C skins and then fill them with stitches or patches to appear as Grade A or even “trophy grade”. Only a few Grade A zebra skins are still left during our current promotion. Our next shipment from the same tannery will include even more brilliant grade AA rugs and they will begin at $2000. We welcome small to medium sized orders and encourage you to take action while supplies last with these beautiful rugs priced for our economy. 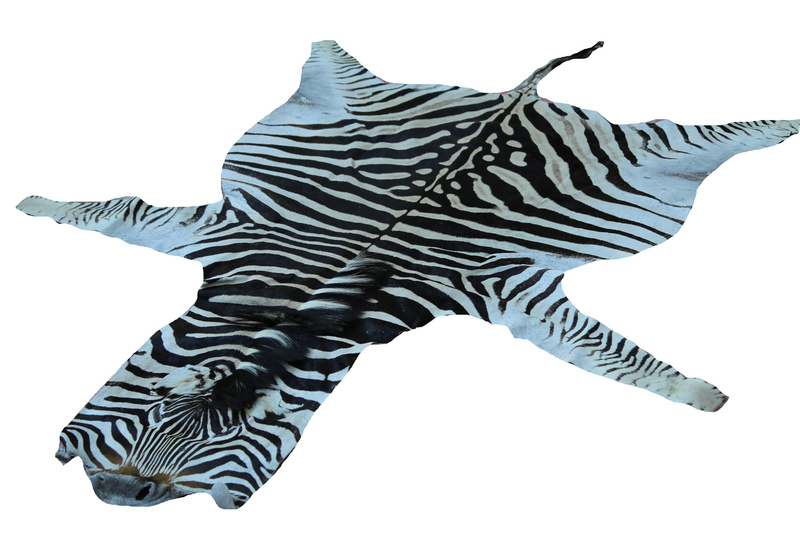 Currently we are offering our beautiful Grade A, genuine zebra skin rugs as low as $2000 each. Please inquire about larger purchases and prices.